Don't let chilly water temperatures keep you from having fun in the water with the the X20 Boys Youth Full 2x2mm Wetsuit. This premium wetsuit features Mesh Skin Ade, Flatlock stitch seams, Snakeskin™, and V-Lock neck closure. All X2O wetsuits are made from high quality 2x2 mm closed cell, 4-way stretch neoprene. Don&apos;t let chilly water temperatures keep you from having fun in the water with the the X20 Boys Youth Full 2x2mm Wetsuit. This premium wetsuit features Mesh Skin Ade, Flatlock stitch seams, Snakeskin™, and V-Lock neck closure. 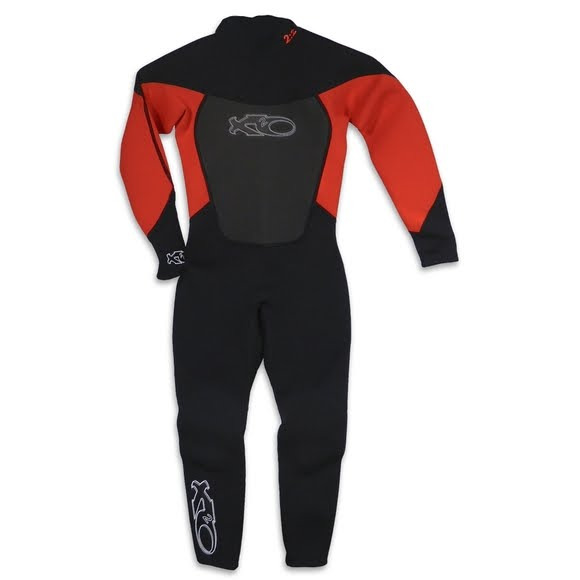 All X2O wetsuits are made from high quality 2x2 mm closed cell, 4-way stretch neoprene. This soft, stretchable and ozone resistant foam provides comfort and flexibility for all types of water sports activities. All X2O wetsuits are made from high quality 2x2 mm closed cell, 4-way stretch neoprene. This soft, stretchable and ozone resistant foam provides comfort and flexibility for all types of water sports activities. Top of the line heavy-duty zipper is used on all wesuits to provide strength and longevity. This specially designed finish is used on the chest and back. By embossing the neoprene top skin, it provides a heavier density characteristic, strength and abrasion resistance. Mesh Skin also provides extra warmth by reducing water and wind penetration. A four needle, durable stitch that provides a flat and comfortable seam. The seam eliminates rash and skin lines while providing comfort and durability. A secure and comfortable seal designed to keep water out and warmth in. Newly designed double back Velcro® closure prevents water entry and allows for a comfortable and snug fit while keeping the collar properly secured.